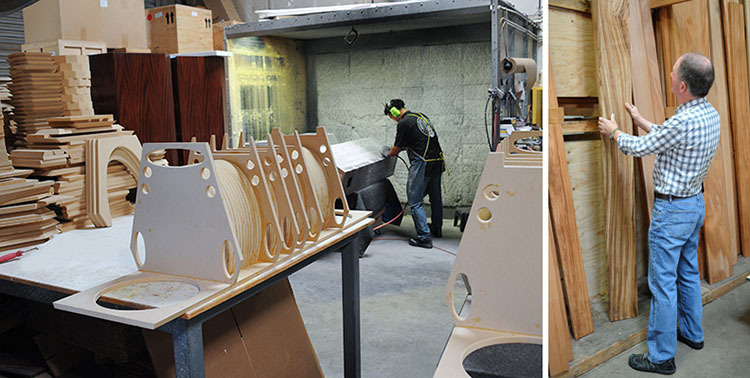 Every loudspeaker produced by PBN Audio is, in important ways, a unique creation. From the first concept sketch to the final finishing details, all PBN products are engineered, constructed and ultimately perfected with the direct hands-on involvement of Peter Bichel Noerbaek, who actually signs each one before it is shipped. The veneers painstakingly applied and finished on all speakers are one-of-a-kinds, with natural grain patterns carefully selected to maximize the inherent beauty of real wood. The liquid-like finishes give depth to the nuances of color and pattern that can be fully appreciated only when experienced in person. Our superb airbrush artists have extensive experience with top-flight guitar makers, and take pride in their craftsmanship. And remember, you select the veneer wood and stain – or piano lacquer finish. As important as these features are, there is yet another dimension to the creativity of PBN Audio – the custom design available for special orders. 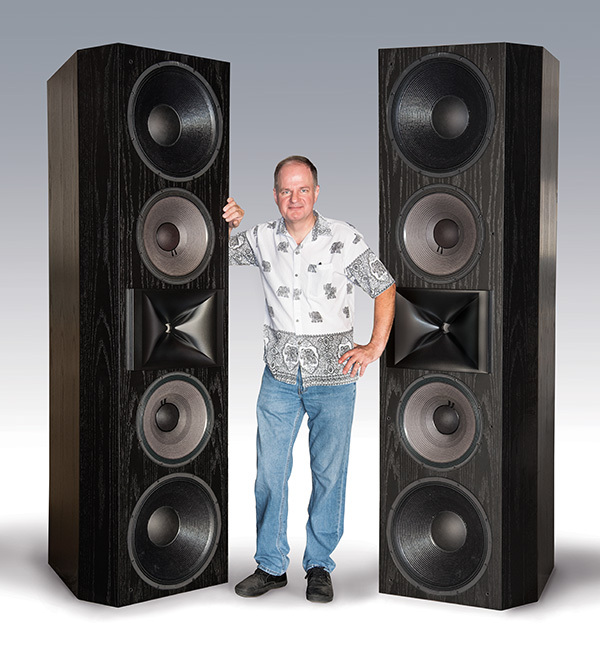 Noerbaek’s comprehensive knowledge of all aspects of designing and engineering make it possible to create a speaker that is specific to your listening interests and venue. The 14 PBN speaker models currently in production are designed to provide a full spectrum of speakers that will provide an ideal choice for almost any audiophile, but there are times when we are asked to expand that spectrum in challenging ways. PBN is up to your challenge and welcomes all inquiries. These twin MR2!5S loudspeakers were installed in the home of a globally famous film actor shortly after this photo was taken. This speaker system is a custom hybrid of the Master Reference and the M2!5 speaker, and the electronics were engineered to match the amp/pre-amp system already in place and to maximize the ease of use the owner requested.